We could not have been happier with the service she provided and strongly recommend her. She was extremely knowledgeable about the area, personable, flexible, well organized, and efficient with time. She was very knowledgeable. She was patient with us throughout the process. When it came to multiple bids, she helped us get the best prices for the house. If you are looking for a dedicated, hard-working real-estate professional, stop your search! Contact Antionette! She will listen to your needs and make wise use of your time. Clearing Out Before Moving Out! 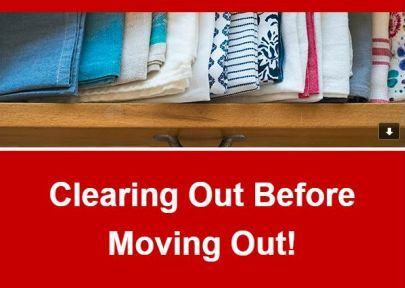 Clearing out before moving out can give new life to a well-lived home. Whether or not you are thinking of selling your home now or in the future, these tips will help create a warm and inviting home for all. Updated: 26th April, 2019 2:10 PM.